To an average person on the street, a Bentley and a Rolls-Royce are pretty much the same thing: a very expensive car for rich people. However, the two cars actually serve very different purposes. A Rolls-Royce is a car for you to be chauffeured around in, while a Bentley is a driver’s car. Bentley has a long tradition of racing heritage going back to the company’s founding in 1919. Bentleys won the 24 Hours of Le Mans race five times between 1924 and 1930. Facing bankruptcy during the Great Depression, Bentley was acquired by Rolls-Royce in 1931. 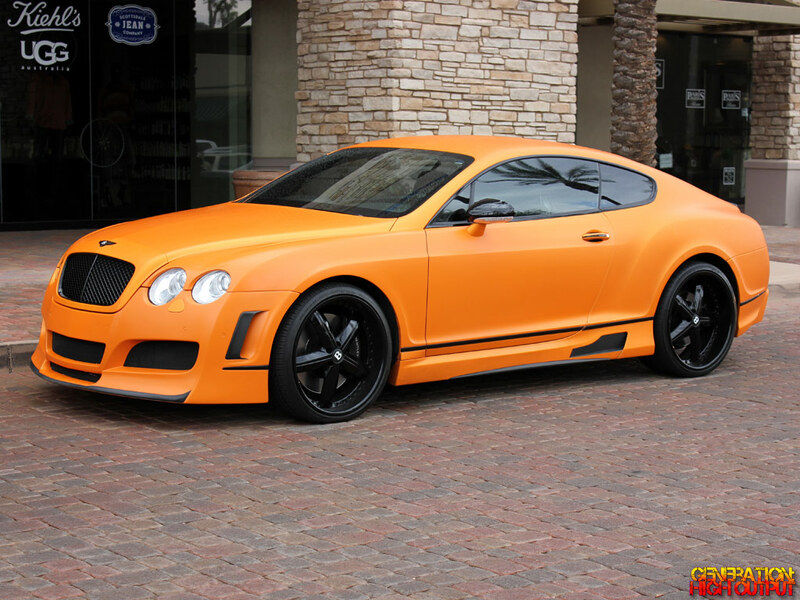 After several decades of quiet obscurity under Rolls-Royce ownership, Bentley finally got back into the performance game with the introduction of the Continental GT in 2003. 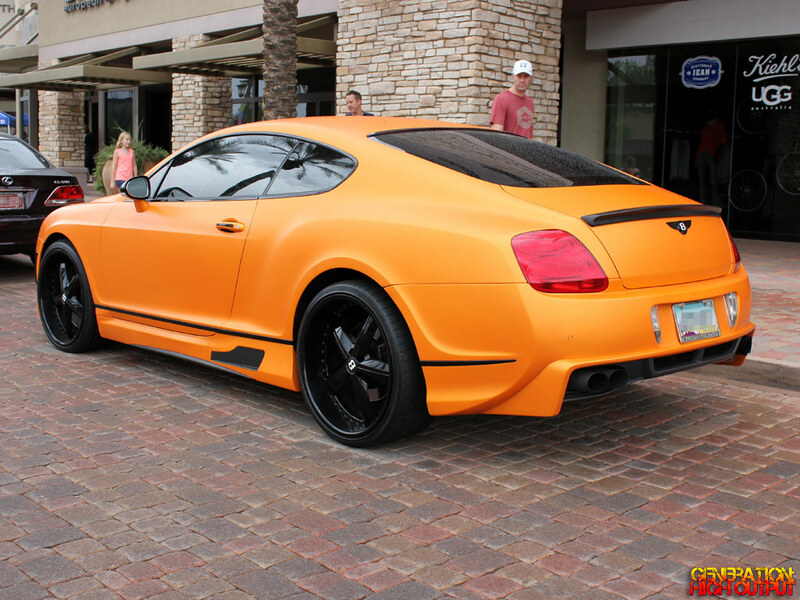 This particular model is a 2007 Continental GT which I spotted at Cars and Coffee in Scottsdale. 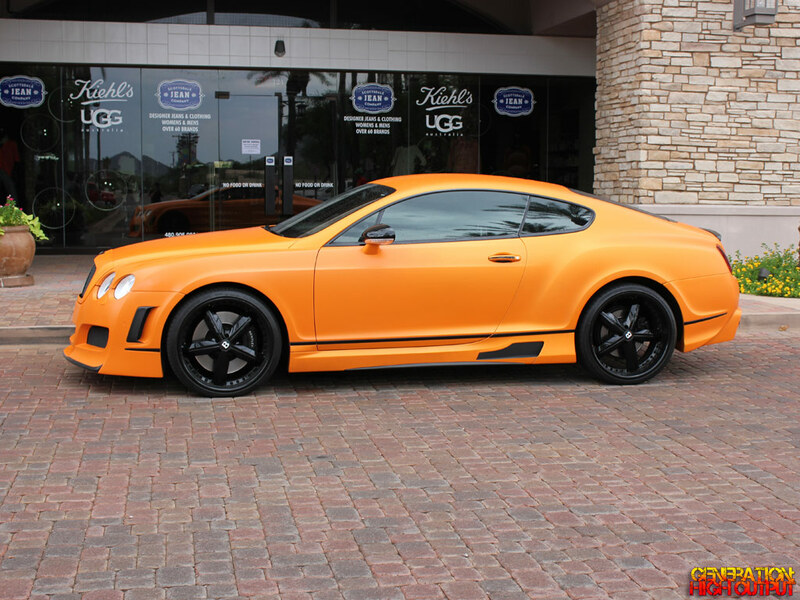 The first thing you’ll notice is the matte orange exterior, a color not commonly seen on cars that cost this much. It also sports a Premier body kit, which currently goes for $22,000 dollars on eBay. The interior has been redone by Mansory, and the wheels look to be MHT Montage Black wheels with the stock Bentley center caps. Under the hood is a twin-turbocharged 6.0L W12 engine that makes 552 horsepower and 479 ft-lbs of torque. That’s enough to propel the car from 0 to 60 mph in just 4.5 seconds – pretty impressive when you consider that the car weighs a hefty 6,100 lbs! Yes, it is a luxury car, but it’s also a serious go-fast machine that is guaranteed to turn some heads. 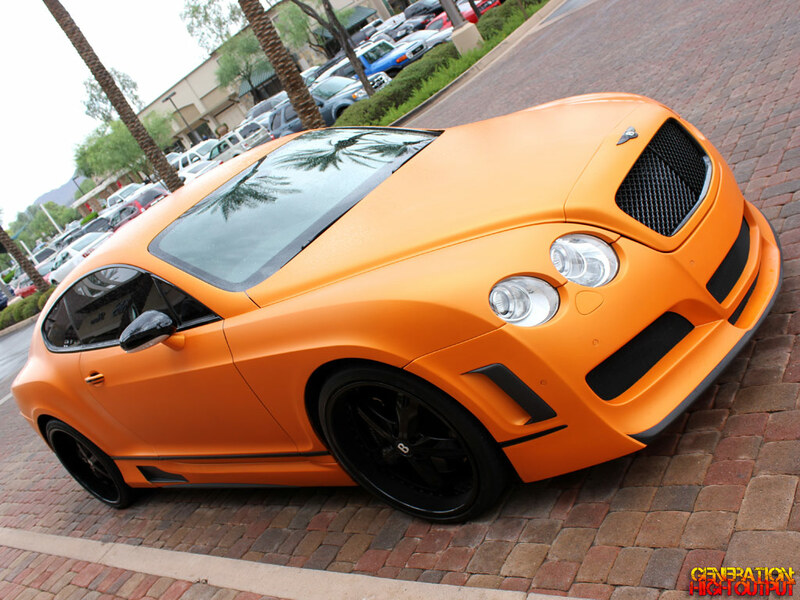 This entry was posted in Cars and Coffee and tagged bentley, cars and coffee, continental gt, exotic car, luxury car, mansory, matte orange, Scottsdale, twin turbo, w12 by Trevor Freeman. Bookmark the permalink.